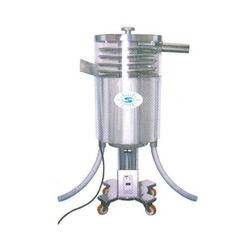 Prominent & Leading Manufacturer from Mumbai, we offer tablet vibro deduster, elevating dedusting machine, elevating tablet de-burring and de-dusting machine, tablet deduster machine, vibro shifter and pharma bottle conveyors. Our clients can avail from us, Tablet Deduster or De-Duster (Vibro or Plain) that is available in GMP Model - SMS-03. These machines have electrical control panel with S.S. body and separate vacuum nozzles, which helps in removing dust from all shapes of tablets accurately. Further, to suit the specific requirements of our clients, we also provide telescopic height adjustments. Electrical control panel with S.S. body. Charging Height740 mm To 865 mmDischarging Height540 mmOutput ( Die 6 mm Tablet)4, 00,000 tablets/hr. (Approx)Minimum Tablet DiaDia 5 mmMaximum Tablet Dia40 mmInlet Chute Size130 mm WidthOutlet Chute Size50 mmDe- Dusting Distance1.5 MeterSpeedFixedTotal Weight Of Machine40 Kg.Power0.25 H.P X 220 V A.C. X Single Phase X 50 Hz. All contact parts made of stainless steel, sterilized provision. Total weight of machine 75 kg. Following the quality parameters, we are engaged in offering bulk of Elevating Tablet De-Burring and De-Dusting MachineThe machines offered by usallows effective removal of burr & dust from tablets and come with charging height of 775 mm to 975 mm, discharging height of 775 mm to 975 mm, output (5 mm tablet) of 400000 tablets per hour. The system comes with adjustable speed support with precision designed tablet conveying route so as to provide for optimum performance support. 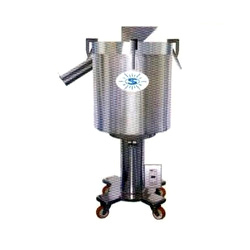 Tablet Deduster Machine offered finds application in efficiently removing burr & dust from tablets and are made available in different specifications as per the client’s requirement. These come with charging height of 680 mm to 880 mm, discharging height of 750 mm to 950 mm and output capacity of 6 mm tablet at 2,25,000 tablets per hour. 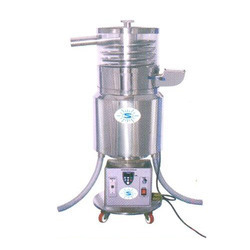 We offer quality tested and reliable Tablet Deduster Machine to our customers. Total weight of machine 50 kg. We are leading manufacturer and supplier of Vibro Shifter. We are introducing for our valued clients the gamut of Pharma Bottle Conveyors. We manufacture and supply the equipments in compliance with defined industry norms and standards. Available in different configurations, these conveyors are helpful in transferring bottles having variable diameters from one place to other. The Pharma Bottle Conveyors are available with the speedy motor that rapidly starts strapping process. Further, we test the conveyors on various parameters to ensure quality parameters. 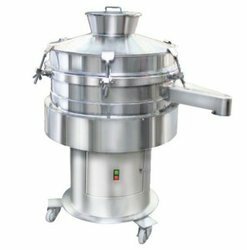 Considered as the tiny and simple table top unit, our stock of Deburring Dedusting Machine(Tablet Dedusting Machine) is provided by us. These machines can be easily attached to the tabletting machines for efficient de-dusting and deburring of tablets. 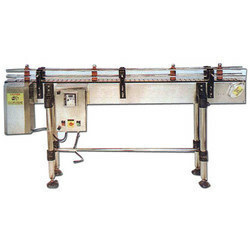 We manufacture and export the machines at par with the international standards of quality and durability. Additionally, our clients can avail the gamut of Deburring Dedusting Machine at discounted prices.